Why do I need a printer in a laboratory? 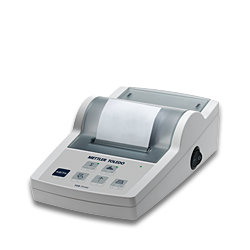 Connecting a printer to your balance or moisture analyzer helps you to comply with regulations regarding data management and documentation. Documenting your weighing results by hand can lead to many transcription errors, as well as inconsistencies in result interpretation due to, for example, bad handwriting! METTLER TOLEDO printers offer flexible reporting and labeling options for your lab. Thanks to different printing possibilities our printers help you to eliminate transcription errors, speed up working processes and ensure traceability. Read our Catalog on the Balance Accessories. 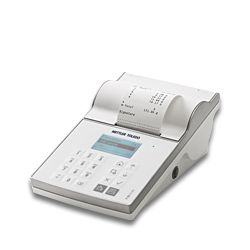 The robust, high-quality Excellence P-50 printers offer a multitude of printing possibilities to help you to eliminate transcription errors, speed up your working processes and ensure traceability. No matter which METTLER TOLEDO instrument is connected, you will always obtain a printout that meets the quality standards. Greater productivity is ensured with a powerful processor a 360-meter ribbon, and a printing speed of 100 mm/s. 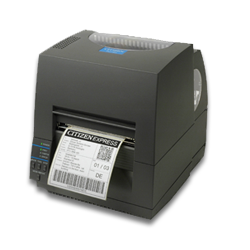 Built-in label generation prints sample ID, barcodes, expiry date, etc.